Listening to this Economist article is different from reading it. 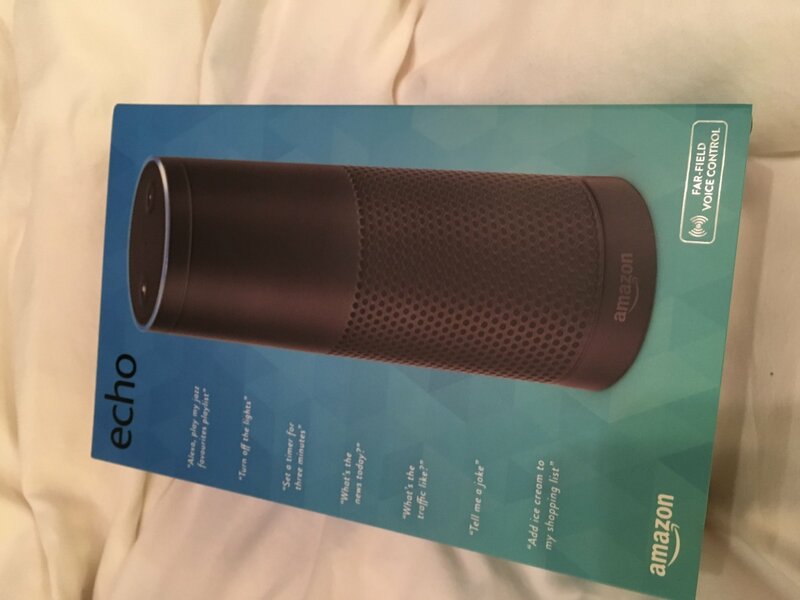 Because they keep saying “Alexa” and Alexa is always listening and recognises her name…… Interrupts continue until they ask Alexa the weight of the sun in grams, an endless answer, and then tell her firmly to stop. Which stops the podcast too – as I’m listening to it on Alexa. “Alexa continue” gets it going again. But whilst demonstrating the questions you can ask Alexa they ask her to play music from 1983. And so she does…… And I’ve lost the podcast. I have to go back through my news updates of the day: “next next next, fast forward 5 minutes…”. But I cant break the loop of 1983 music and get further into the podcast. It’s interesting the radio folks who write and talk about this stuff hadn’t realised yet how it works when you are listening on it. Only by using the “internet of bits ‘n’ pieces” do you discover these lovely little foibles. The ones you love and the ones that are less useful. Sad as it sounds, I love the way my house works when I get up for a pee in the night. “Alexa what time is it?” becomes a habit in the dark, without waking yourself up to find out if the alarm is about to go or its the dead of night. Just saying “Alexa” casts a little light into the room. Or “Alexa switch on the bedroom lights please”. The Nest smoke alarm gently lights up the landing as I walk by it and the LED inside the warmed Japanese loo leads the way. LOL. Such small things amuse. The other day, I was in one of the bedrooms without Alexa and at the furthest point from the ones I have. Arms full of washing. Shouting down the hallway “Alexa switch on the front bedroom lights” wasn’t quite hacking it and I was going to have to use my phone to switch them on. It felt so old school. Then I realised and chuckled. I was standing next to the light switch on the wall! It’s creepy how quickly my habits have changed. BTW My wife tells me off if I don’t say please to Alexa and you do get into the habit of saying please and thank you. They became firm friends when Siobhan first met and told her to eff off because she’d been in all our phone calls: “Alexa pause” had become annoying at the start of every call. “Thank you for the feedback” in a polite voice had us in stitches! Too many people must be trying that now because I just tried it again and she now says “That’s not very nice to say!” in a much less amused voice.